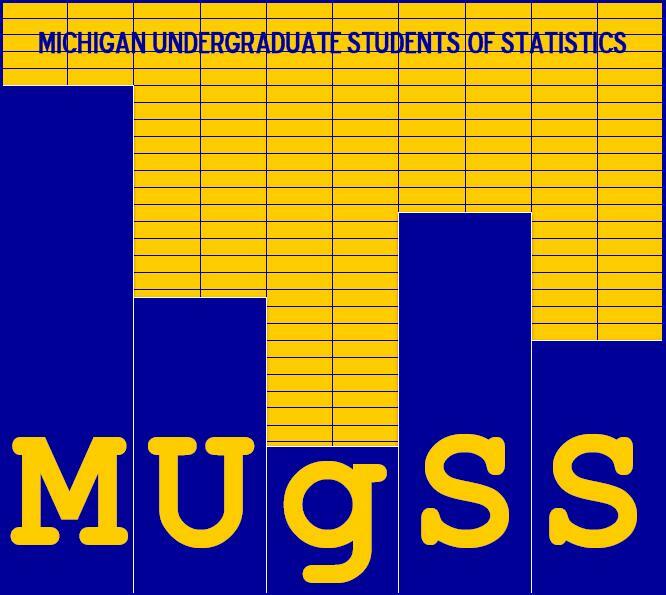 The purpose of MUgSS is to provide a forum for students interested in statistics, number, probability to meet fellow peers and create something bigger than themselves. Get involved in an official University of Michigan organization that you can put on your resume! Meet other students interested in Statistics! Discuss research and internship opportunities! Talk about different Statistics courses and trade books! Receive information about graduate school and what else you can do with a Statistics degree! Confused? Wondering "what is statistics" and "what can I do with a statistics degree"? We have answers. We would like to congratulate our new officers for the 2016-2017 school year!